We explored Ruby just before Christmas 2015 – a perfect timing! Synchronicity can be a wonderful experience, an experience of coherence. The coherence of Ruby and Christmas became clear to us as we performed the holonistic experience of Ruby on 17 of December 2015. Ruby took us to a warm cosy place as we approached the darkest night and days of the winter. It made us think of the state of the foetus lying in the warm belly completely united with the mother, or a state like sitting in a small cosy cabin in the middle of the ice cold snow laid mountains in the dark winter night while enjoying the warm heat from the fire place and the warm feelings of closeness to the loved ones or even a deep unconditional love to the whole human kind. Sitting there looking at the fire place, you see the black or charcoal grey surface of the wood logs hiding the radiating heat and warmth that connects all the logs and warms up the whole room and the whole cabin. As you see beyond the black grey surface you realize that the heat on a deep level has the same source, it was already connected. Let us explore. The heat and light from the wood logs is the sun returning and rejoicing in its regained freedom after being structured into the wood, the spirits from the sun penetrate every aspect of the wood. Science reduces this magic process to photosynthesis, but it is more than just chemistry. What to us seems fragmented, is deeply connected, it is the same spirit coming forward with different aspects. Even all the suns (e.g. stars) radiate from separate spots. Despite the enormous distance between them the radiate the same creative force, the force that started in the Big Bang. All stars are deeply connected, and all the heat from the fire place is the same, manifesting through each log of wood. It is this deep connection that we do not see, but we can resonate, that we start to realize as a direct experience under the influence of Ruby. You get reconnected yourself with the source of life and love and light. Ruby warms up our heart and soul and reminds us of the affection and love we have to the closest circles, or family and friends, but it goes deeper and deeper and carries the gift of uniting with all human kind, all living beings and the whole universe. Ruby is the perfect gemstone for Christmas, with its red colour and the focus and deep connection to the beloved friends and family as well as the love, care and benevolence for everyone. As we aim to understand Ruby in a holonistic way the core can often be easiest understood as a polarity. In Ruby the polarity is between being frozen out into the cold or completely accepted and warmly included as your closest family. This split also tells us that Ruby takes away the illusion of being excluded, separated, being out in the cold, being dead, or isolated. It does this by connecting us to what is behind, what was before and what is beneath. In isolation or the cold of the winter, in the darkest of nights Ruby reconnects you with the heat that created us all. The heat that still is there in the sun, in the centre of the earth as well as in the bone marrow. The bone marrow is the source of the red blood that gives us life and connects all the cells in our body. Beneath all that is manifested there is the same source of fire, of life and heat. This is the warmth of love that connects us all, the creative fire of the spirit. This internal persistent warmth reconnects you with the inner world, the world of dreams and of spirit. It reconnects you with the fire of the spirit, and also gives you strong vivid dreams. What seems to be darkness has a hidden fire within that Ruby helps you to remember. It could be the night where the treasure of the dreams come forward, it could be the isolation where the deeper connection to human kind is revealed, it could be the darkest nights of the winter where the inner rebirth of the spirit, the true meaning of Christmas is given as a gift. Ruby has the ability to show you eternal life where death seems present, to give inner warmth when you are alone in the cold, to remember the intimate love for your closest when the daily routine is killing the relation, to focus on forgiveness and generosity rather than obstinate stubbornness, to focus on the importance of being present in the moment when you encounter fellow humans instead of keeping running and already being on the way to the next step. Ruby reminds you of the deeper things, the more important – the things under the horizon, that which is beneath, behind and before. Imagine a gently blow on the wood log and the burning fire reappears with its redness and radiating heat and you have a good picture of what Ruby does. It reconnects you with the source and it also helps the true you appear where you might have retracted or hid in the darkness. This is the time of the year where the year comes to and end and a new year is about to start. The theme of death and rebirth also came forward in our exploration. Christmas is the birth of Christ, as the old years is fading and a new is born. 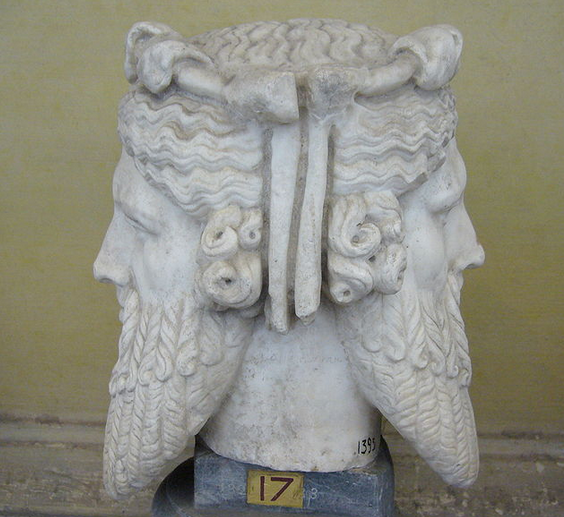 The ancient roman God Janus, the two faced God has give the name to doorways (januae) and archways (jani) as well as January. In old Rome Janus was invoked as the first of any gods in regular liturgies. He represented the beginning of all cycles (day, month, and year). He was celebrated on January 9, the Agonium. His tradition probably arrived from Egypt and the God Aker. Aker was the God of the horizon. He was called “He who´s beneath” Akes was represented as two lions facing opposite directions. One lion was representing yesterday (duaj) and the other tomorrow (sefer). At the point between the last year and the year to come, at the point where the manifest disappears into the night of the un-manifested to reappear again, we find Aker. 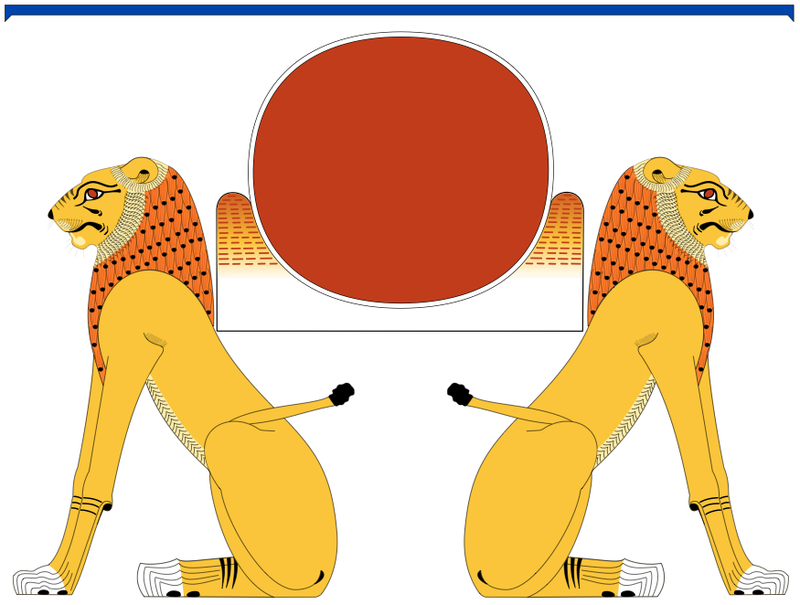 Aker was first depicted as the torso of a recumbent lion with a widely opened mouth. This reminds us of Janus and his association with doorways and archways. Here at this point is the wide open mouth, the gate to the other side. In summer and light all is about the manifested external world, in the dark of the night or the winter we are at the closest to the open mouth, the gate to the other side ”He who´s beneath” as the name Aker signifies. This is an important key to Ruby but also an aspect of many gemstones, the ability to connect you with a state where there is no past or present, where there is just manifested potential, the potential behind all creation. A state before things are split into before and after, heat and cold or any other polarity, a state where the female and male aspects of every human being are still one. As you re-enter the connection with your own spirit, you also reconnect with your anima or animus, you become aware of the unconscious and the two aspects of day and night unite in you. Ruby connects you with this state deep beneath where you also reconnect with those that has passed to the other side, it reunites you with the loved ones that has tread out of the time. It puts you in a state where you find peace with old enemies, where you forgive those that has trespassed or done you harm. If you live in a relation where things have become permanently frozen or become blocked between you and your partner, brother or sister, parent or child, neighbour or college or any other person, Ruby reminds you of the warmth that was and helps you blow on the wood log and find back to tender love and care. Where you are stuck, rigid, blocked or obstinate it makes you again open up, feel the warmth, connection and flow. The new reconciliation between US and Russia.